Target will be offering a Cheese Advent Calendar this holiday season. 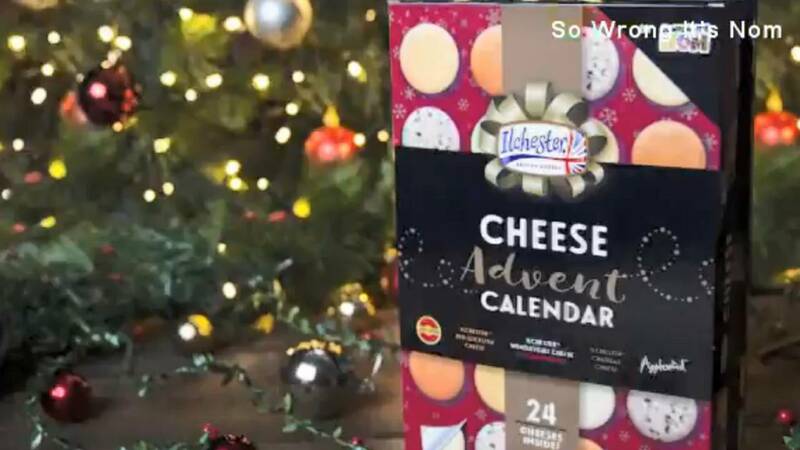 Yes, that's right - instead of the typical chocolate, the calendar will hold 24 pieces of individually wrapped cheeses, one to be eaten on each day of advent in the countdown to Christmas. The calendars will be available in Target stores across the U.S. starting in November, at a cost of $20 each. The unique calendar is the creation of a UK food blogger whose company is called "So Wrong It's Nom." The calendar inventor said more than 11,000 customers signed up for the calendar in 2017. The cheese brands include Applewood, Mexicana and Jarlsberg. Make room in your fridge!